KRA has issued a notice to invalidate/deactivate all PIN not registered on the Itax platform. This deactivation will be done on 31st August for those who do not comply. Banks and insurance company need a PIN before opening a bank account or issuing an insurance policy. KRA will penalize you for not submitting tax returns as this can only be done on the iTax platform. You can check your KRA PIN status is active. 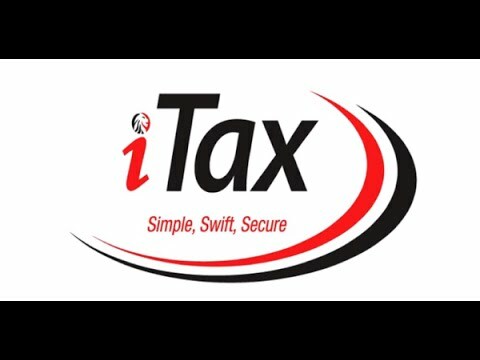 In compliance with the Tax Procedure Act, 2015, KRA made it mandatory for all taxpayers to use the iTax platform for PIN registration, filing of returns, payment and access of other tax-related services. Follow the below steps to ensure that your pin is updated at iTax. Enter your current PIN in the blank space and click to continue. If you are not updated to Itax a page similar to this appears. • To continue click to update now. After this the next page appearing will look like this. On this page select your citizenship category accordingly, and continue. Here you are required to input your I.D number and date of birth. Lastly input the answer of the simple calculations in the security stamp section . Step 5 : Updating Basic information. The next page will ask you the personal details to create your KRA ledger. Provide with all the necessary personal basic information. • The information provided will be key to updating your ledger. • The proceeding page is for obligation. This page cannot be altered so proceed to the next page. Select your source of income. If employed select employment income and remember to file PAYE each month. Running a business then select business income and proceed to add it to your ledger. The last option is for those who are land lords. Select your option and proceed. NB: If you are not employed, running a business or a land lord check all the boxes with NO. This section do not alter anything by pass to the last section. Submit the information and NOW you are updated to Itax.